Did you know that nearly 75% of our donors live in the South Bay? In an effort to make blood donation as easy and convenient as possible for all of our donors, we are excited to announce that our newest blood donation center location has officially opened in Campbell! It has been quite a journey as we’ve worked through the construction of a new site and all that it entails. But on October 22, 2018, the hard work and patience paid off as we welcomed donors through the doors of our new location. We’ll have many more photos on our website in the coming weeks at stanfordbloodcenter.org/south-bay-donor-center, but here are a few to get you started! Our new South Bay donor center in Campbell, California is designed from the ground up with our donors in mind. Every detail ofthe new center helps to create a comfortable donation experience in a modern, relaxing environment. You can check out photos of the construction process here: stanfordbloodcenter.org/south-bay-donor-center. As with all of our donor centers and mobile drives, our donors in the South Bay can expect a personalized level of service. We take time to focus on each individual donor to ensure you have the best donation experience possible. Remember, each time you donate blood, you can save up to three lives. 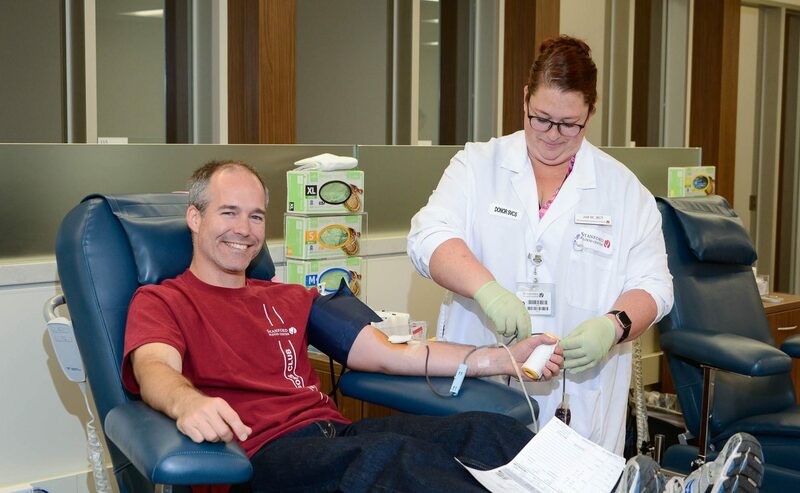 SBC provides blood products to Stanford Health Care, Lucile Packard Children’s Hospital Stanford, and several other hospitals throughout the Bay Area. So, with every donation, you are helping serve local patients in need. So, next time you’re out running errands, grabbing a bite, or catching up with friends in the Campbell neighborhood, we are only a few steps away! Stop by and check out the new center at 295 E. Hamilton Avenue in Campbell or make your next appointment online at sbcdonor.org.